What a deal on this cute ranch with partially finished basement! Main level features sizable living room with fresh paint and hardwood floors. Kitchen and formal dining room just off the living room. Kitchen has new flooring, new shutters and includes all appliances. Two bedrooms and one full bath round out the first floor. 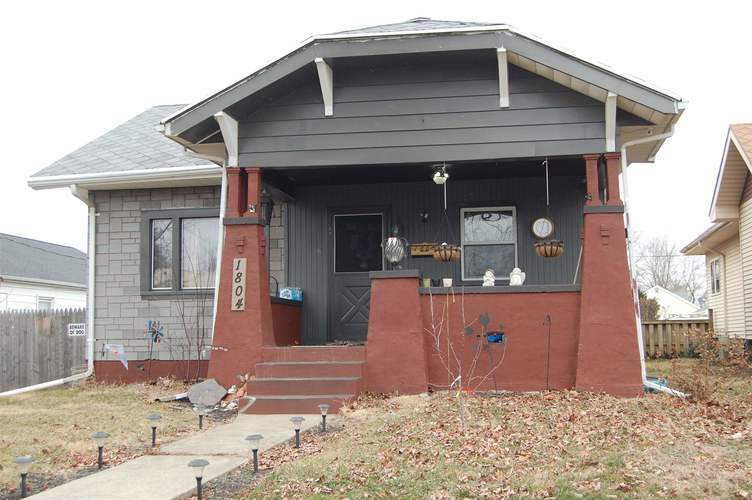 Full basement with finished family room, and full bath. Convenient laundry shoot directly to utility/laundry area in the basement. Washer and dryer not included. Additional space being used for a third bedroom & storage. Front porch is perfect for your morning coffee, or relax and watch the kids play in the fully fenced backyard. Two car detached garage and new shed for storage. Gated entry to the driveway plus security cameras included that connect to WIFI and easily accessible when you're away. You'll enjoy the multiple fruit trees and bushes. Most plumbing and electrical have been replaced in the past two years, some newer windows. Convenient to grocery, parks, restaurants & Market Square. Directions:From N 18th St (two blocks south of Greenbush St) Turn east on Perrine St, 2nd house on north side of Perrine.